Luckily, I've grown some blogs into 500,000+ monthly visitors (see image below) and I've literally tried every method on the internet. However, I want to let you know that it didn't happen overnight and it took a lot of testing, failing and starting all over again. P.S. This article is VERY comprehensive at over 8,000 words; it contains 101 unique and practical ways to promote a blog and get traffic, with links to case studies, research, resources and tutorials when necessary. I believe this is the only guide you’ll need if you want to unleash an avalanche of traffic on your blog. Publish More Articles: One of the most effective, but often ignored, ways to get traffic to a blog is by publishing more articles; research from Hubspot has shown that businesses that publish 16+ blog posts monthly get 3.5 times more traffic and 4.5 times more leads than businesses that publish between 0 – 5 blog posts monthly. 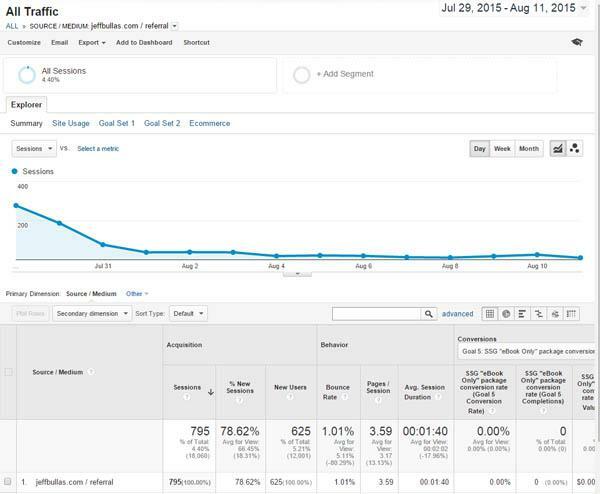 Seven-figure blogger Neil Patel also revealed that his monthly traffic went from 46,134 visitors to 59,787 visitors because he increased content frequency from 1 article to 2 articles weekly. No matter your niche, research has shown that publishing more content will always lead to an increase in traffic for you; increase your content frequency to 2 or more articles a week, and you'll notice a significant increase in traffic to your blog. Publish Longer Content: Research has shown that Google and other search engines give preference to longer, comprehensive articles; research by serpIQ that analyzed top 10 results for over 20,000 keywords came to the conclusion that Google ranks content that have more than 2,000 words better than content with fewer words. In the Neil Patel article we referenced earlier, he also reveals that one of the top reasons why his blogs get a lot of traffic is because he writes in-depth and comprehensive articles; the average article on Neil's blog ranges from 4,000 to 8,000 words, and the result is that he ranks for lots of long-tail keywords, which leads to significant traffic on the long run. Start an Email List: Ask most successful bloggers what the top source of traffic to their blog is and they'll tell you that email is in the top 3. Highly successful blogger Darren Rowse always record a traffic spike (the kind that almost doubles his blog traffic) whenever he sends an email to his list about a new blog post (see a screenshot of one of his traffic spikes below). Email is such a powerful medium for generating traffic that many bloggers vouch for it; the reason is simple, all things being equal, your email list will only keep growing and rarely decrease. Even more, unlike your blog traffic that can fluctuate, you have access to a database of the people on your email list and can always email them. The best email management tool is Constant Contact. I recommend you sign up and start building your list immediately. You can get a 20% discount if you purchase here. Don't wait. If you haven't started building an email list, start now. Install the free SumoMe plugin and use their email list building options including the ScrollBar, Popup and Welcome Mat. Guest Blog: One of the fastest ways to grow your blog is by writing for other people's blogs; in other words, you can look for a blog that is much bigger than yours and write an article for that blog. You'll be allowed to have a bio that includes a link to your site in your guest post. This can result in a lot of traffic for you. 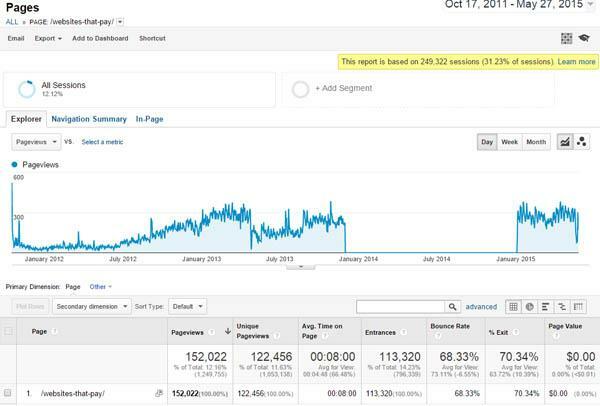 The above screenshot shows traffic to an authority blog in one month; you can see that out of 582,000 visitors, 476,000 came from search engines. That's how powerful search traffic is; after all, Google is the biggest website in the world! It's important that you don't ignore SEO techniques; familiarize yourself with the concept of SEO and optimize your blog and your articles to rank well for relevant keywords in Google and other search engines. Comment on Other Blogs: The right comment on a highly authoritative blog can send you lots of traffic; identify the top blogs in your niche and start interacting and commenting on blogs on a regular basis. This will get the blogger and members of his community to notice you and visit your blog, leading to more traffic for you; you might even get a link, or invitation to guest blog out of it. Develop a Blogger Outreach Plan: Many bloggers fail to get traffic because they take a passive approach to blogging; if you simply publish your article, rest and wait for traffic to come then nothing will happen. Feature Other Bloggers in Your Articles and Ask them to Share: One of the techniques superstar blogger Neil Patel uses to grow his blog is that of linking to dozens of bloggers inside his articles (according to him, his articles usually contain 100+ links) and then reaching out to the bloggers who he linked to letting them know that he linked to them. The result is hundreds, sometimes thousands, of shares per article and eventually lots of traffic back to him. Do “Expert Roundups” and Get Featured Experts to Share: How will you like to leverage the reach of 10, 20 or more experts in your niche to grow yours? Is this even possible? Yes, by doing “expert roundups” in which you interview a group of experts and ask them one or two questions to be compiled inside one article, you can massively boost your blog traffic. Once your expert roundup has been published, ask all the bloggers featured to spread the word about it; the result of this will often be thousands of extra visitors to your blog. A good example of an expert roundup is this article that features 32 bloggers who reveal their favorite site-building platform; the result is hundreds of shares. Here's another good example that got over 1,000 shares. Do Case Studies of Influencers and Get them to Share: Identify influencers in your niche with good reach, do a case study about these influencers and get them to share it. A good example is this case study of Quora influencer Oliver Emberton; Oliver shared the article on social media when it went live, eventually resulting in 100s of shares and thousands of views. The article also ranks on page 1 for his name in Google, bringing in long-term search traffic. Publish a Resource Article: Resource articles are exceptionally effective for boosting traffic to your blog, much more than the average blog post; this article on Digital Current shows that it's possible to get 100,000 views per article by publishing resource articles, and that resource articles can get up to 10,000% more views than the average article. Feature or Interview Owners & Influencers of Popular Social Media Groups: There are several Facebook and LinkedIn groups with thousands and tens of thousands of followers; unfortunately, most people try to get traffic by spamming these social media groups, only to end up having their articles removed. A better way to get traffic from social media groups is to interview owners, or influencers, of these groups and ask them to share the article you feature them in. Even if they do not share your article, you can share it in the group yourself as a member of the group. Feature/Interview Owners of Popular Forums: Compile a list of the biggest forum owners in your niche and interview them; if possible, get them to participate in a round up post on your blog. Send them a link after your article has been published and encourage them to share it. Run a Blogging Contest: Host your own blogging contest and make it a condition that participants share your article on social media or blog about it; if possible, try to get some sponsors and have them blog about your contest as well. This will go a long way to boost your blog’s reach. Develop and Execute a Social Media Strategy: Simply creating social media profiles and sharing your latest articles won't cut it. 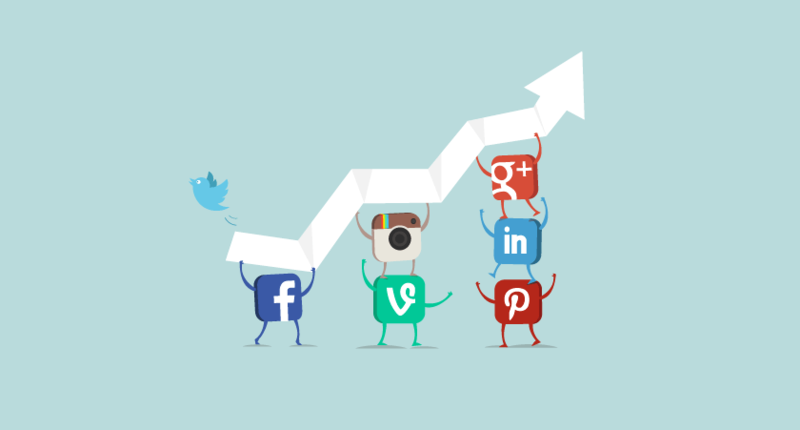 Develop a social media strategy by focusing only on key social networks, engaging with influencers and top pages, and, interacting in groups to grow your social media reach. Also, make sure you constantly post updates, and regularly recycle old articles on social media; simply sharing your article once, or once in a while, won't cut it. Most popular bloggers share links to old articles on their blog for years. 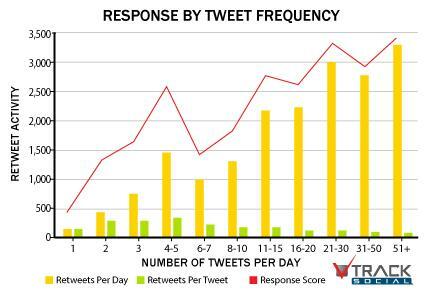 Posting frequency should vary depending on the social media site; research shows that it is optimal to post twice daily on Facebook, thrice daily on Twitter and Google+ and 5 times daily on Pinterest. Syndicate Your Content to Top Blogs: Many top blogs and networks will allow you to republish your content on their site with credit back to you; most big blogs, including mega publications like Business Insider and Huffington Post, do it if they feel that your content is good enough. Look for a list of publications and network sites in your industry that republish content and see if they'd like to republish your articles. Do Cross-Promotion with Other Bloggers: Find a blogger with similar audience to yours and see if you can do a “shout out exchange”; in other words, you mention them on your blog and they mention you on theirs. You can also promote them to your email list while they promote you to theirs. Promote Your Blog on Top Forums in Your Niche: Forums can also be a good source of traffic; many of the top forums in your niche probably get millions of monthly visitors, and many have hundreds of thousands of members, but you can't simply start spamming the forums with your links. Instead, focus on making valuable contributions to the forum in form of ideas, response to other people's discussions and being active in popular discussions; make sure to have a link to your blog in your forum signature, and you'll notice an increase in your traffic. Create an Ultimate/Advanced Guide: An ultimate guide is designed to be the first and last article your readers read on a subject; due to their nature, ultimate guides are usually very comprehensive in nature. It isn't unusual to see an ultimate guide that is 5,000 – 10,000 words. As we saw earlier in this article, search engines favor comprehensive articles rank them better; people love them too, so they'll share them massively. By publishing an ultimate guide, you’ll benefit from all angles. Once you've published your ultimate guide, reach out to bloggers in your niche and ask them to spread the word about it. Include Social Share Buttons on Your Blog: Many bloggers fail to include social sharing buttons on their blogs and this is costing these bloggers social shares, exposure and traffic. While it is not clear to what extent, research shows that adding social share buttons to your page will lead to more shares of your content and as a result increased traffic. Publish Regular Infographics: Research shows that infographics shared on Twitter get 823% more retweets than images and articles. Neil Patel reveals that infographics have been so effective for him, often helping him catapult his blogs from no traffic to over 100,000 visitors monthly. In his words, old infographics generate more than 50,000 monthly visitors to one of his blogs. You can promote your blog by creating good looking infographics, especially those that share important facts and statistics, and tell influencers in your niche to share it and republish it. You should also submit your infographics to several infographics directories. Publish Slides to Slideshare: Do you know that Slideshare is popularly known as the sleeping giant of content marketing. The reason for this is simple; over 70 million professionals use Slideshare, and it is one of the 100 most visited websites in the world. The good news is that you can use it to promote your blog. In a case study, Ana Hoffman revealed that by publishing 9 presentations on Slideshare she was able to generate 243,000 views to her slides and over 1,400 clicks to her blog in 30 days; as a result, Slideshare became her second largest referral traffic. Now, that's one great way to promote a blog! Create your own Slideshare presentations too, using fewer words and visually rich images to communicate your points, and watch your traffic grow. Facebook Groups: Facebook groups can also be a good source of traffic and exposure for your blog but, unfortunately, many people fail to get results because they approach these groups in a wrong way and can barely be differentiated from spammers. In a case study analyzing how he increased traffic from Facebook groups by 3,000%, Bruce Zhang revealed that the best way to get traffic from Facebook groups isn't just to post your links; instead, make sure to use catchy text images as well as a compelling message that shows how people will benefit by reading your article. LinkedIn Groups: Similar to Facebook Groups, LinkedIn groups are a good source of traffic. Sharing your content with just your LinkedIn connections won't send you traffic; instead, look for the top LinkedIn groups in your niche, join them and occasionally submit your best articles to them. Promote Your Blog on Quora: Exactly how powerful is Quora for promoting your blog? As mentioned earlier, Quora superstar Oliver Emberton used Quora to launch a popular blog. Within 7 months of starting his blog, he was already getting millions of views monthly. Oliver did this by contributing great value and being very active on Quora; eventually, this paid off in quality traffic that led to articles on his blog going viral. Look for Interview Opportunities: There are blogs and websites that are dedicated to interviewing successful people and showcasing their stories; if you have an exciting story or have a success that you can showcase, you can reach out to these websites and ask them to interview you. A good example is IdeaMensch, and there many more similar sites. Ask Podcasts to Interview You: Similar to being interviewed on sites, you can ask podcast shows to interview you; many podcasters will happily oblige if they find that you have an exciting story. Look for Opportunities to be Included in Link Roundups: Every niche has at least a dozen blogs that do weekly or monthly roundups; at the end of the week, or month, these blogs will publish an article with a summary of the most interesting content they read in a particular month. You can get some nice exposure by emailing these bloggers and asking them to include your article in their next roundup. Key into Major Events: A major election, death, birth, sports event, etc? Smart bloggers are creative, and as a result, they know how to leverage happenings around them to boost their reach and influence. When major events happen, lots of people tend to get interested and start searching for it on search engines and social media; by capitalizing on this and using an angle relevant to your niche, you can get quality traffic. Example: “What the Superbowl Can Teach Us About Successful Blogging” or “What the Election Debates Can Teach You About Success”, etc. You get the idea? No matter the event, you can tie it to your blog’s topic and capitalize on it to boost traffic. Blog About a Major Personality: So what does blogging about Obama, or Justin Beiber or some other major personality have to do with promoting your blog? In June 2010, Think Traffic published an article titled “The Diddy Guide to Constant Creativity and Relentless Marketing“; the result was a Tweet of the article by P. Diddy himself to his 2.6 million Twitter followers. Write Controversial Posts: Writing controversial posts, or attacking sacred cows in your niche, can be very powerful for generating traffic and boosting your exposure; this article on Shopify showed how publishing a controversial post can help skyrocket a blogger's fame and traffic. Include Elements of Transparency: If done right, transparency can be a very powerful weapon for promoting your blog. Several top blogs and startups can testify to this; seven-figure blogger Pat Flynn is a good example; one of the techniques he used to accelerate his blog growth was publishing income reports. People were excited about his income reports, so they visited it en mass and shared it a lot; it is also widely linked to across the web. Startups like Buffer and Groove are also using this principle to grow their blogs and business; by being transparent, they get people excited about what they are doing and this leads to more exposure for them. Reduce the Number of Share Buttons on Your Blog: While we earlier noticed that including social sharing buttons on your blog can help increase traffic and social shares, there's the paradox of choice factor to consider as well; research shows that giving people too many choices will ensure that they do not make any. In other words, having 10 social sharing buttons on your blog will make sure that your readers use none. Smashing Magazine also noted that removing Facebook share buttons led to more traffic from Facebook, since readers now directly share their articles on their Facebook timeline instead of liking it (and shares result in more traffic than likes). So that's a consideration for a button you might want to remove. Promote Your Blog on Pinterest: Pinterest can be a great source of traffic to your blog and many bloggers have leveraged it with great source to massively boost their blog traffic; Mandy Wallace was able to take her new blog to 1,000 daily visitors hugely thanks to Pinterest. Look for quality interesting images, and focus on using irresistible headlines and you'll be getting quality Pinterest traffic in no time. Essentially, a sound bite is a persuasive summary of the message of your article that is easy to remember and easy to quote; because it is short and persuasive, people can, and will, share it, leading to more traffic for you. Mainly due to using this technique, Derek Halpern was able to generate 300 shares and around 9,000 hits for one of his article. Tweetables and Shareables: Similar to sound bites, Tweetables and Shareables help you get more traffic by encouraging people to share your content; a “Tweetable” is a message you highlight from your article and design to be shared on Twitter while a “Sharable” can be shared on any social network. You’ve probably visited your favorite blogs to see “Click to tweet” embedded inside the article? Well, that’s a Tweetable. Highlight key points all through your article and use sites like Click to Tweet to get people to share your key points. Below is a screenshot that shows a Click to Tweet in one of Michael Hyatt’s articles. Pursue Media Syndication Opportunities: Many top publications and media sites thrive on publishing a lot of content, and it isn’t unusual to see these sites publish 50 or more articles in a single day; of course, this is difficult to pull off and they have to rely on content from guests and other sources to meet their content schedule. To get around this, top media sites like Lifehacker and Business Insider republish quality content on other sites; often, they only feature content from experts but you can try to reach out to them to see if you can be a part of their content syndication program. Convert Your Blog Posts into PDFs and Submit to PDF/Document Sharing Sites: Convert your blog posts into a PDF and submit it to PDF sharing sites; make sure that the final PDF file includes your bio and a link to your site so that people know how to find your blog after they finish reading the PDF. Start a Podcast: Data from Edison Research shows that there are more than 46 million podcast listeners in America; podcasts are quickly becoming the best way people consume content, because it makes it easy to consume content on a commute, while exercising and in a lot of comfortable positions. Boost your blog traffic today by starting your own podcast. Here’s a good case study from someone who created a podcast that was downloaded by over 1,000,000 people; screenshot of his stats below. Convert Your Blog Posts into Presentations and Share Them on Presentation Sites: Turn your blog posts into Presentations and submit them to top presentation sites. Publish a List of Power Users in an Industry or on a Social Media Site: Many of these power users will get an ego boost from this and will share your content on social media. Advertise on Reddit: Reddit is one of the biggest online communities, with an estimated 17 million monthly users. While many people are familiar with advertising on Facebook, Google Adwords and other PPC options, very few people pay attention to Reddit; surprisingly, Reddit’s CPM, at $0.75 CPM, is much lower compared to bunch of other social media sites. Advertise on Facebook: Facebook is increasingly becoming most brand’s favorite advertising platform, and rightfully so. Facebook has in-depth understanding of your audience and allows you to target your content to them; also, advertising on Facebook is 3 times cheaper than Google Ads. Advertise on Stumbleupon: With over 25 million users, StumbleUpon is one of the web’s biggest community as well as one of the cheapest places to advertise online. In a case study on his blog, Stefan Maescher revealed that he got 60,275 visitors to his blog by spending just $128.90. The key to success with StumbleUpon ads lies in having shareworthy content, promoting it with a few dollars and letting it go viral on Stumbleupon. Sponsor a Blogging Contest: Blogging contests are being run every day, and sponsoring one can result in some nice traffic and quality backlinks for you; most contests will make it a requirement to blog about the contest and link to the website of their sponsors and this is where you benefit. Look for blogging contests of this nature and see how you can participate. Run a Viral Giveaway: Viral giveaways can have a massive impact on your bottom line, and a good case study to this effect is Josh Earl, who was able to get 482,044 people to visit his blog and 187,991 people to subscribe to his blog in just 11 days. Now, that’s a phenomenal result! If you’re struggling to get traffic to your blog, perhaps it’s time to start your own viral giveaway; look for a product that is in high demand in your niche and offer people an opportunity to win it by joining your giveaway. Let their chances of winning increase by inviting more people to join your giveaway. Join H.A.R.O: H.A.R.O, also known as Help A Reporter Out, is a platform that brings reporters and “sources” together; when looking for sources to quote in an article, reporters often visit H.A.R.O to find people to interview. If you have a relevant story that a reporter needs, then you might be mentioned as a source when the reporter publishes their article; just tell the reporter to mention your website in the article if relevant/possible. Join Communities where Bloggers Support Each Other (or Communities Where Bloggers Exchange Shares): There are secret bloggers club and websites that foster a community where members promote themselves; in short, every community member promotes each other’s content and benefit from the support of a massive community. Two good examples are JustRetweet and Triberr. Create a Viral FREE Report eBook: Create a high-value, concise ebook and make it available for free, no strings attached (don’t even ask for an email). Now, share that ebook everywhere you can and encourage readers to share it as well, be sure to include a bio inside the ebook. Corbett Barr did this in 2010 with his ebook “18 Months, 2 Blogs, Six Figures”. The result was that this ebook led to a massive increase in traffic to his blog, and lots of new subscribers. Run a Blogging Challenge: In 2013, Natalie Sisson was about to do a book launch and decided to run a blogging challenge; the challenge was a 30 Day Blog Challenge designed to coincide with the launch of her book, and she reports it to be the most successful initiative she’s ever ran on her blog. The blogging challenge led to a 100% increase in traffic, 1,000 new subscribers to her list and her book becoming a #1 bestseller the week it was published. Blogging challenges can unite your community and make them passionately involved in your project, and this will always lead to more traffic to your blog. Run a Traffic Contest: Invite members of your community to promote your blog and do their best to send traffic to your blog for a whole month, award the people who send the most traffic a price. Publish an Ultimate Link/List Roundup: Compile and publish an ultimate list of resources/articles on a particular topic; include as many relevant resources as possible and email all the bloggers you featured on your list and ask them to share your article. 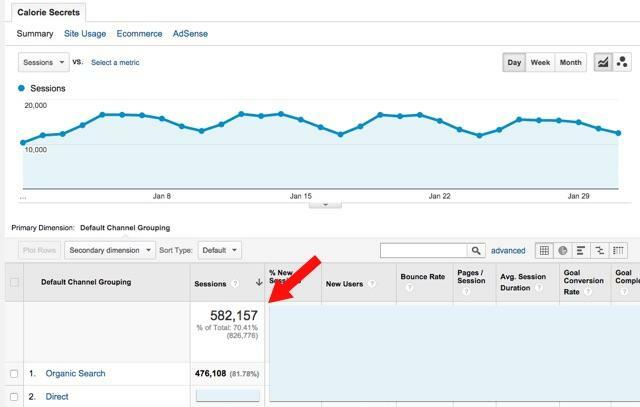 Here’s a good example of an ultimate list/roundup of articles on how to get traffic from Mark Trueman, featuring case studies from 124 experts, which ended up generating thousands of shares. Give Viral List Building a Shot: Prepare a series of incentives and design a viral list building system; start with a basic incentive that will be your opt in incentive, then offer people more attractive incentives if they share your content or invite a number of people to join your list. Convert Your Blog Posts into Podcast and Distribute to Podcast and Audio Sites: Research from the Zenspill link above shows that an estimated 33% of Americans have listened to a podcast, and that a total of 2.6 billion podcast download requests were made in 2014. Seven-figure blogger Pat Flynn credits his podcast to be one of the top ways new users find his blog. If you can’t start a podcast, you can record an audio version of your blog posts and submit them to podcast sites. Here’s a list of 8 sites you can submit your podcast to. Create Your Own Website Theme: Create your own website theme with a link back to your website in the footer; there’ll be a link to visit your blog on every website that uses your theme. Be sure to make the link nofollow so that it doesn’t give you problems with Google and other search engines. If you don't want to create your own themes (can be a bit complicated), you can get some awesome themes from here and here. Create Your Own Website Plugins: Similar to having your own theme, create your own plugins and give people that use it an option to link back to your blog. Leverage Image Sharing Sites to Grow Your Reach: Image sharing sites like Flickr have millions of users, and this presents you with a great opportunity to increase your reach; take cool pictures around you that you own a copyright to, and publish them on these sites with a Creative Commons license on the condition that those who use them link to you. This will result in bloggers using your images and linking to you, and occasionally top media sites will use your images and send you some quality traffic. Effectively Leverage Email Signatures: Many of us interact with hundreds or even thousands of emails every month; these are some nice eyeballs for your blog, and you can convert them to readers by including a link to your blog in your email signature. 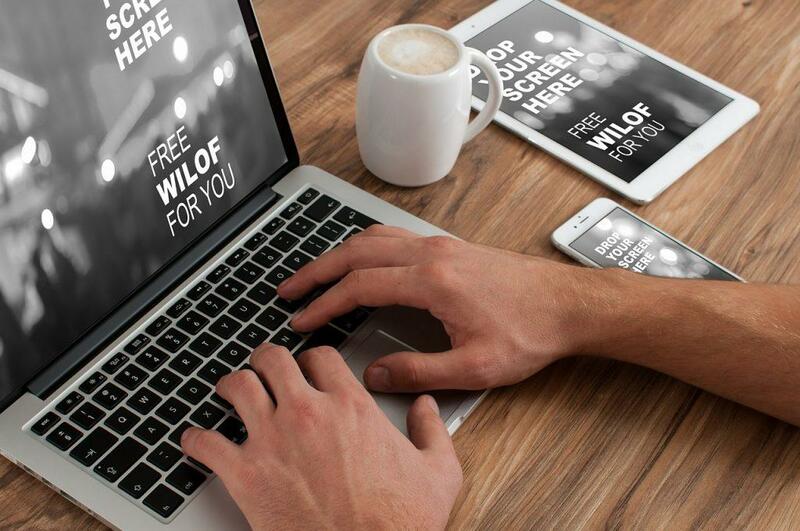 Focus on the Mobile Experience: Research shows that the number of mobile internet users has now exceeded the number of desktop internet users. Google also recently made an upgrade to their algorithm that favored sites that were optimized for mobile users and that penalized sites that were not optimized for mobile users. Some sites lost as much as 46.6% of their search traffic due to not having a mobile-optimized site while some gained as much as 30.1% traffic by having a mobile-friendly website. Something as simple as optimizing your blog for mobile users can give you a traffic boost, so make sure you have a website that is focused on a better mobile experience for your readers. Have a Keyword Research Strategy: Many bloggers enjoy lackluster search rankings and, as a result, poor search traffic due to not having a keyword research strategy; do you research keywords before publishing article on your blog, or do you just publish new articles? Incorporating a keyword research strategy into your content marketing strategy will go a long way to boost traffic to your blog. Publish a Controversial Response to Top Bloggers and Thought Leaders: When an industry leader publishes an article, or says something, that you disagree with; publish a response on your blog explaining why you disagree with the industry leader. Most industry leaders will share your article, especially if your response is well-thought out and informative. Ask Experts to Contribute Advice to Your Article: One very effective way to unleash an avalanche of traffic on your blog is by asking experts to contribute their advice to your articles; this is especially effective if you’ve written an ultimate guide to a subject, or a long list of article with a lot of points. Identify key experts in your niche for various points and ask them to give you their input; include their input inside your article and let them know when it goes live so that they can share. This technique is highly underutilized, but it’s so powerful that Jimmy Daly of GetVero was able to get 36,282 people to read a single article on his blog. Proper SEO Slug/Permalink Structure: Do you know that your blog’s SEO slug/permalink structure can go a long way to influence your search rankings and traffic to your blog. The best SEO slug is the one that includes your title in a descriptive way while removing unnecessary words like verbs. Proper Site Structure: Just as a good SEO slug is important, it’s also important to have a proper site structure; make sure your site structure makes it easy for search engines to index your content. Make sure that every page on your blog is indexable, and have an archives page or sitemap that will make it easy for search engines to crawl your content. This Neil Patel article shares practical tips to help you create a site structure that will enhance your blog’s SEO. Deep Internal Links: Internal links are an essential part of your on-page SEO, and quality internal links will impact your rankings in the search engines. Make sure you regularly link to relevant pages and articles on your blog. Improve Your Headlines: Do you know that a simple headline change can result in a massive boost in traffic to your blog? According to Copyblogger, on average, 8 out of 10 people will read your headline but only 2 out of 10 will read your content. This is why it is very important to learn how to write better headlines and put serious effort into your headlines. A case study that demonstrates how much of a difference the right headline can make was featured on Lifehacker; a New York Times article was originally titled “How Companies Learn Your Secrets” and it only managed to get 12,902 views. The very same article was republished on Forbes and retitled “How Target Figured out a Teen Girl Was Pregnant before Her Father Did” and got a whopping 680,000 views. That’s over 600,000 more views than the original articles, and that’s interesting considering that The New York Times is a much bigger site than Forbes. The difference in traffic was solely due to the headline. Enable Trackbacks on Your Blog: Anytime you publish a new article on a blog hosted with WordPress, it gives you an option to enable comments and trackbacks; a “trackback” is an automatic notification sent to any website you link to, allowing your link to be featured in their comments section as well if approved. Link to A Lot of Authoritative Sources: Google uses a lot of factors to rank websites, including how many links point to a website, but very few people know that Google also ranks you based on how many people you link to. Invite Others to Guest Post on Your Blog: Guest blogging on other blogs is indeed a powerful way to get traffic and gain exposure to your blog, but inviting others to guest post for your own blog can be equally powerful. If you invite others to write for you, especially if they have a much bigger reach than you do, they are more likely to share their guest post with their readers. The result of this will be more traffic to your blog. Start Paying People to Write for You: There are websites that regularly publish lists of sites that pay writers, and these lists occasionally get tens of thousands of views and hundreds of links thus making them highly authoritative. By offering to pay people to write articles on your blog, and emailing the publishers of these lists to include your website, you’ll be getting an instant boost in traffic and an authoritative backlink. Offer Incentives to People Writing for You: A technique that can give you a massive boost in traffic to your blog is incentivizing contributions to your blog; whether you pay writers for articles or accept guest posts, you’ll be able to get more traffic by compensating people whose articles become your most popular post or get a certain number of views in a month. Below is a screenshot showing how The Penny Hoarder does it; for a blog that gets about 2 million unique visitors monthly, they definitely know what they are doing. Email People With Lists of Blogs that Accept Guest Posts: There are hundreds of lists of different blogs that accept guest posts online, and many of these lists are read by thousands of people weekly; if you accept guest posts on your blog, email these bloggers and ask them to include your blog on their list. This won’t just result in some nice traffic and potentially quality contributions to your blog, but it will also yield an authoritative backlink that can help your search traffic. Listen to Your Readers: Sometimes, you’ll notice that certain articles on your blog will become big hits while some will barely get read by anybody; oftentimes, the reason for this has to do with demand for the topic an article covers. If an article is in high demand, it’ll do a great job of promoting itself and traffic will only keep increasing; if an article has low demand, the promotion you do will yield minimal results. Ask your readers what content they want to read about the most, and create your content based on popular demand. Analyze Your Blog Traffic: The key to blogging success lies in identifying what’s working and doing more of it; once your blog starts to gain traction and get some readership, start paying special attention to your blog traffic to see what kind of content is getting the most views. If you notice a trend with a certain type of content, do more of that type of content and you can be assured of increased traffic. Write for the Scanner: Research shows that on average, most web users won’t read more than 28% of words on a website; in other words, while having longer, comprehensive articles will help your search engine rankings it won’t increase the chances of your content being read; the more people read your content, the more people will share it and the more traffic you will get. The solution to this problem is to write your content for scanners. Using headings and subheadings, bold, italics, numberings, and bullets, you can make your blog content more presentable and scannable, and as a result boost traffic to your blog. It gets readers to come directly to your blog; this increases the likelihood of them sharing your article, thereby leading to more traffic for you. It ensures that you get attribution when your content is being scraped; a lot of sites scrape content via feeds without attribution, and this isn’t good if there’s no way for you to get credit back to your blog. Use Images in ALL Your Blog Posts: Research shows that articles with images get 94% more views compared to articles without images. Make sure every article on your blog include one or more relevant and appealing image, and this will significantly boost traffic to your blog. Retweet Old Articles: Research shows that only 1.4% (and I suspect that the actual number is much lower) of your Twitter followers will engage with your Tweet; the question is, what happens to the remaining 98.6% of your followers who will not see your Tweet? How do you get their attention? The answer to this is to constantly retweet old blog posts. Find out the best time to post an article on your blog and use this knowledge to effectively promote your content. Join Bundle Offers to Expand Your Reach: Occasionally, there are events such as Only72 that offer a bundle of products for a limited period of time at a discount price; the time limit and discount is the appeal of this, and it isn’t unusual to see hundreds of thousands of people hearing about the offer and thousands of people taking advantage of it. If you have a product, reach out to organizers of these events and ask them to include your product; you’ll be increasing your reach due to the cross-promotion other, often more influential, participants and affiliates will do. Do Solo Ads: A “solo ad” is an email newsletter that only contains an ad; so if someone emails their list and a recommendation of your blog or product is the only thing in that email, that’s a solo ad. Solo ads can be great for boosting blog traffic; find relevant bloggers in your niche with good email lists and offer them a fee in exchange for sending an ad to their list about your blog/email list. Take Advantage of Local Media: The online and blogging craze is so high that many people now fail to realize the power of offline media. Seek out radio presenters, TV presenters, local magazines and newspapers in your country and ask them if they want an expert in your capacity. Due to the blogging craze, fewer people are disturbing them than used to be; this increases your chances of actually getting coverage, resulting in a boost in your brand image and blog traffic. Give Affiliates 100% Commission to Your Products: If you have a product, it’s much easier to get traffic to your blog. Identify influencers with a big blog and email list, especially if they have no product, and offer them 100% commissions for every sale of your products that they make. Make sure you get all buyers of your product to subscribe to your email list, and you win; you win because those buyers might not otherwise know about you, but now they are readers who have bought a product you created. Sell Your Products on Promo Sites at a Massive Discount: While it might not look like a win to sell your products on sites that offer products at a massive discount, it can be a big win if this suddenly exposes you to thousands of new people; find sites of this nature and offer your product at a discount. Make sure people are required to sign up to your email list before they can access your product. Leverage Kindle Free Promotion to Boost Your Reach: If you sell an ebook, you can also leverage limited-time Kindle promotions to boost your email list; Tristan King was able to get 600% more people to download his ebook by leveraging Kindle’s KDP ebook promotion system, and that gave him a nice boost in readership. Here’s a list of 76+ places to submit your free Kindle KDP ebook promotions. Leverage Hashtags When Promoting Your Articles on Social Media: You can also boost your readership by using #hashtags when promoting your articles on social media; by using relevant hashtags, you’ll make your content discoverable when people search for content in your niche, and you’ll also benefit should an hashtag you use become trending around the time you used it. Submit Your Blog to Blog/Website Directories: While not as effective as they used to be, blog and website directories can still be a good source of traffic. Being listed in some blog and website directories can also boost traffic to your blog. Here’s a list of free website directories you can submit your blog to. Rewrite Some of Your Articles and Post them on Article Directories: Article directories are not as effective as they used to be, but you can rewrite some of your articles in minutes and have them distributed to article directories. Make sure you include links to your blog in these articles. Identify Top Community and Q&A Sites in Your Niche and Participate Regularly: Sites like Quora, Yahoo! Answers and other niche-specific communities and Q&A sites can be a good source of traffic. Participate in relevant popular discussions and occasionally include a link back to learn more on your blog. Get Your Blog Listed in Google News: Being included in Google news can result in a massive boost in traffic to your blog, especially if you’re first to cover major events. If you cover news-related stuff, be sure to apply for inclusion in Google News. Translate Your Blog Posts into Other Languages: Translating your blog into another language is an effective but little-known way to boost traffic to your blog; this works because translated versions of your blog will start to rank in the country-specific search engines of the languages you translate into. Neil Patel reported a 47% increase in traffic to his blog by translating his blog into 82 languages (screenshot below); translating his blog didn’t cost Neil anything as he used the Transposh plugin. Create an App for Your Blog: Create an app for your blog and submit it to Google store and Apple store; regularly invite your readers to download your app and feature it on relevant app sites. If more people download your app, Google will start showcasing it to more of their readers and this will boost your traffic. Organize Events in Your Area and Tell Attendees to Visit Your Blog: Organize offline education events in your area in partnership with schools, churches and communities. Make your events entertaining and educative, and invite attendees to read your blog. BONUS: Make your website faster: Research shows that a one second delay in website loading time will result in a 7 percent loss in conversion, and that slow websites cost the U.S. e-commerce market $500 billion annually. Not just this, but you’ll also lose 40 percent of visitors to your website if it takes longer than 3 seconds to load. If your website is slow, then you’re already losing half your visitors. Make your website faster and watch your traffic increase significantly. I started a blog 3 weeks ago. Really enjoyed the blog as a platform to share my thoughts and ideas but when I start thinking about traffic, it gets demotivating. Has been dismal. I am trying to do some of the things you and others suggested but when it comes to SEO and some of these other ‘tech stuff’, I get turned off. I like the way your post is written, loads of info in a simple way. Since you started in 2009, I figured that I should start seriously worrying if my visitors rate do not spike up in the next couple of years. Thanks for the time spent to teach. You can always e-mail me if you need any help. I suggest using Google and talking to people in your industry, that’s the easiest way to find forums. I’m sure there’s a decent forum for almost every topic/industry that connects the enthusiasts and fans. Thanks Karen. A friend and I actually learned how to start our blogs from this site. My blog is up and running and I’m going to use the tips you’ve shared here to get more traffic. Any other topics I should cover in detail? Thanks for all the advice- I’m seriously considering getting my own blog up and running as soon as possible! Would you say it’s more important to have a decent amount of content already prepared and ready before launching, or just go for it? You can list 5 topics that you can write about after the launch, it helps to stay on the track. I’ve just published my very first blog. about two weeks ago, in the gardening niche. Thanks so much for these great simple tips.. I’ve already tried a couple out. Great list, Karen! Simple, straight to the point, and actionable. This doesn’t only help those who are new in blogging. Actually, I have a 2-year old blog and have revamped it a couple of times already. I’m definitely using your tips to promote it to get more traffic. Thank you so much for all your info. I started my blog about a month ago now and am really happy with how it looks. At first I told myself it is just for me and it doesn’t matter about visitors and I wasn’t confident about my writing abilities, but now I am thinking maybe it would be nice to get some feedback. I have looked at you info on increasing your traffic but to be honest with you I am not very techie, so some of the lingo I don’t understand. I will do a lot more research on it though to find out what they all mean. With regard to the social media, I am so unconfident, with my blog at the moment, I really do not want to tell my family and friends. I would rather test the water first, lol, then maybe when I get some feedback (hopefully good) I would start telling people. I am sure a lot of people feel this way. Going back to the ‘blog lingo’, have you done a glossary because I think this would really be helpful for people like me. Thanks again for your blog because your style of writing has made it easy for me to get started. I’m glad my blog guide has helped you to get started. Unfortunately, I haven’t done a glossary yet, but it’s definitely a good idea. Thanks for the tip. If you have any problems/questions – you can always feel free to get in touch with me. Jane, I read your response I just wanted to encourage NOT to be intimated! I’m not very techie either, but I did a lot of research based off the information Karen shared in this blog… I knew NOTHING absolutely NOTHING about blogging and still have a long way to go, however my blog is up and running thanks to the information provided here! Karen also has a blogging course I suggest you to sign up for. In lesson #3 from the blogging course, I received an email regarding “Fear of Failure” – this email touched a lot of areas for me and helped me get over some hesitation I had myself. Great article. I agree with your tips. I’d like to expand on one of them. You mentioned writing well organized paragraphs and this is very important. But also, I think nothing turns a reader off more than having great content, but having to read them in huge chunks. Space out your sentences (which you have by the way). That way it is broken down in easy to read bits. Easy on the eyes too. Really great post – extremely useful. I have just started a new blog site for assistants, providing them with resources and tools to help them exceed in their careers with the aim to hopefully build a network of assistants that regularly communicate so we can share ideas and support eachother – all promotion is done via Twitter at the moment. This post has given me a number of tips which I plan to use immediately and hopefully this will bring in traffic to my site. Looks awesome 🙂 Keep up the good work. Thanks for all this helpful advice! I’ve managed to get a decent audience with my blog so far (I began in July 2013 and there were over 110,000 views on the site last I checked with Blogger), but more tips on growing the audience are always welcome! Honestly, it took me an hour reading this post – because I was trying out each and every tip and literally doing it on the other end. I recently started two blogs using WordPress. After an initial peak traffic, the site traffic dramatically fell down. Now that I got these tips, I am confident that I will get my blogs back on track. Thank you for such an informative article. I’ve been blogging every day for about 4 months now, and I think at this point it has become a habit. As a result, my next goal is to share my blog with a larger audience, and your blog contains many useful tips. I look forward to trying them. One of my concerns is that my blog is all over the place in terms of what I write about, and I’m not sure if it is better to have a specific theme to blog about, or if the variety of topics is OK. I took a look at your blog and I think it really looks great! I just wanted to quickly chime in here to let you know that multi-topic blogs can do very well out there. I’ve been blogging since 2006 and on one of personal blogs, I’ve had the majority of traffic from search engines land on the strangest posts. I think my all time best post had to do with kitchen design. On the same site, another popular post was one about my laptop battery not charging and another post that STILL gets traffic is what to do about bad neighbors (hundreds of comments on that one). Obviously, this was my personal blog, so my topics were sort of random, but I wanted to let you know that when one of your posts spikes for one reason or another, it can really spike and the overall site can benefit. I have been looking for ideas to spread the word about my blog and came across many tips. I must say your blog post was simple and at the same time full of specific details I needed. I will be giving Google Adwords another shot I had tried it in the past but never took it seriously. Already focusing on content on a weekly basis making sure I provide valuable content and not rushed crappy type of content. Can you give us an alternative to google Adwords ? You can use Bing and Yahoo pay-per-click programs too. Nothing beats Adwords, though. I would try to get to 40 posts before adding it to increase your chances of Google approving the Adsense account. While there is no traffic minimum they might say that your site has thin content with only 15 posts. Backlinks are more important for search engine rankings, but you should still share on social because that can help more people discover your website. Create a persona for you page, giving the persona a name (not yours). You can then create an email address for the persona and social accounts. The only thing with Facebook is that you have to create a page under your personal account and not a new Facebook account. This page has literally become by Bible for influencing my blog. I have followed through with many of the links to other posts explaining different tips and tricks. I’m currently working on the secrets to make my blog go viral, and I can see how you use the same tips from Joe Morrow! I.e. your post “How to create a blog in 20 minutes”. I made my first dollar from blogging yesterday on just my 10th day blogging, and I can’t thank you enough. I would be happy to link any of your articles within mine! Let me know if you’d ever like to work together. I posted a comment on one of your blogs last week, but I’m currently blogging about financial advice for young aspiring professionals. If you have any tips you’d like to add, I’m all ears! Thank you!!! Glad you found some information that was useful in your blogging journey. Posts are indexed by google and so it is not possible to change the dates. You can however update the post thus creating a new post and date. Few days ago i have started blogging site. I will use your tips for my site. Thank you very much for sharing this type of valuable post. Really it was very good writing. Thanks…these 101 tips are helpful..I think this will help me to increase my blog traffic..
Wow, this article can really serve as an ultimate guide for promoting blogs! I have a couple of questions, though. If you publish dozens of blog posts per month, as suggested in the article, at one point you may run out of blog post ideas and inspiration. Did that ever happen to you? Did you ever get tired of that hectic pace, or is it just me :)? Did it affect the quality of your writing? What do you recommend to do in such cases? Hi Jenna, yes that is an issue. At first I tried to post too much and seemed to run out of ideas quickly but now I wait and see what everyone else is writing about, ask around on forums in my topic, and create good posts that are helpful to what is currently going on. There is really no end to that type of content and ideas. I’m planning to start a new blog(i don’t have any experience in it). I need some help in starting my own blog. I have red your content on blogging and looks very promising. My question to you is : How to write a content, Do i need to write completely from my side on topic, OR Can i copy from other website/source and post it in my blog (providing reference of it). Seriously i need to know about this as blog is only about content/matter. Without this i cannot proceed to start my blog. I looked at all the comments but one questioned about it, As I’m not very good at content writing. It is always better to write your own content.Copying from others is plagiarism and you always want your content to be unique and updated to retain your audience. If you have problems writing then hire someone to do it for you..start a blog with a friend who can write that way you save on hiring a content writer. Wow, this is awesome. You have included every detail on the promotion of a blog. One point that blew me away is that I can make an app for my blog. I have never thought about it. Thanks and keep up the good work. Great list, very informative and helpful. I’m new to the blogging world but looking forward to watching my page grow in the future. Can anyone tell me what 2 – 3 things I should be focusing on to build site traffic? I’ve had a few sign-ups in the last 24 hours but I reckon they were all spambots. Also where to start building backlinks? Finally, are blogging directories reliable/safe and if so, what are some good ones? Please visit the Free Blogging course page. great article to promote blog in google. i want to say that thank you for best article. Thanks a lot for sharing this. It was a wonderful blog post and yes as you said comprehensive too. Good luck for your blog! Keep writing! This is probably one of the most detailed articles I have read about how to promote a blog article. Straight to my bookmarks. Great article. There is a lot of helpful information in here that I would love to add to my own promotional procedure. I recently gathered the basics of promoting a blog post into an article. However, as I perfect the tactics outlined in our own post I would love to start added idea put forward by you. There’s a lot of folks that I thinkk would really appreciate your content. Please go here contact to send your request and someone will get back to you. Thanks, Karen. Thanks for your great tip, I will follow your guide. A good read for budding bloggers!! I really appreciate the effort put in to provide so much useful information, new ideas and detailed strategies to enhance one’s blog. Wow, awesome weblog format! How long have you ever been running a blog for? you made running a blog glance easy. The entire glance of your website is fantastic, as well as the content material! Hey, thanks for sharing some solid tips with us! There are a few that I need to work on, which are time-consuming, but as we all know the hard work we put in now will yield favorable over the long-term. They are reallly convincing and can certainly work. bit from subsequent time? Thanks forr the post. Great Article! As of 2018, do these tips still useful today? Anyways, keep posting topics like this. Nice article! it is really fruitful article or bringing traffic for our web site. Some great tips here. I struggle in that I am not looking for fame and fortune. Rather I merely wish to share what I’ve learned in my life with others. As I like to say: “The lesson of life is that life is the lesson.” There is much to learn everyday, and often the easiest means is by listening to someone who has “been there, done that..” So I don’t want to grow readers for the value of the count, I just want more people to have the opportunity to look and choose for themselves. I didn’t want to get competitive and seek methods of increased exposure, yet here I am! Yet another conundrum to blog about I guess! What a fantastic and helpful post! Very in-depth with a ton of great resources and new information. I’ve bookmarked so I can work through each idea one by one but will be implementing the SlideShare idea immediately to see what type of traffic boost I get. It’s really help me to get a lot of visitors. Thank you. Great read and really helpful. New to the blogosphere, so many of these suggestions will be put to use ASAP! Thanks Karen! Thanks so much for sharing! I haven’t started my own blog yet, but I am very excited to get started. I am working on a unique writing corriculum that I hope to release in the next year. I have tested my methods and found them to be effective in getting teens and young children, who have trouble in this area, to write. I plan to build a blog that backs my product, teaching the teachers as well as the students. Oh my, this is really a super long list and the ideas you shared are awesome. I’m trying to implement a few, for instance, like what you mentioned in #34, to reduce the number of share buttons. Not sure if it will work great for me, but I’m going to try it anyway. By the way, it’s a little overwhelming to apply all the tips here. Any suggestion? This is great ideas about to promote blogs.very use full information thanks for share here a fantastic post. Wow. I got great information from your Post. I had recently started blogging and was stuck how to get traffic to my blog. This really helped me. thanks for the information fellow. Just wanted to add for anyone else as-well, that you can get exposure for your blog at http://www.readory.com. They let you post your blog and users can upvote it to the front-page similar to reddit I guess. Awesome post “101 Best (FREE) Ways How To Promote A Blog and Increase Traffic” , I spend half an hour read through the post, I learned a lot from this post! Thanks man!! its very informative. i will work on this tips. Hey, thanks! What’s your favorite from all of the tips? You have explained each and everything related to driving traffic in depth. Glad to be of help! Feel free to suggest too any additional tip so I could add them. Would love it! Your list is massive if not all but some of the hem will surely work. I going to try every one of them. By the way I am already using some like the using Facebook for traffic, commenting, guest posting, sharing content on different site etc. Hi Nitish! Glad to help. All these blog promotion channels have proved to be quite effective but my problem is always TIME! It takes me 5-8 hours to put an article together. Some of which are over 5,000 words long such as yours and I can’t help but wonder how I’m supposed to publish my posts and be active on social media, forums etc. at the same time. When exactly am I going to be networking and writing guest posts? Plus, I have many other things doing. How do you do it? I understand your concern. When I was starting, I’ve been there too. How about hiring someone to write for you? That way you’ll be able to have more time on your plate to do other tasks. Great 102 ways to make money from your website. Great hours of research and implementing of different strategies to make this content up. All these off/on pages techniques helps in building a brand and sticking awareness in the minds of the people. It’s a great source. I’ve got to know some new tips to increase blog traffic. Most of the time you have talked about Neil Patel. I really like the way you proof everything. Thanks for sharing the in-depth article. Hi Andrea, glad to know that! Wishing the best for your blog. Thanks for dropping! Thanks for your advice. This information is useful, the 101 Best ways to knoe how to promote a blog and increase traffic. Can you tell us which top 3 promotion methods that are working best for you? A meaningful list, very informative and helpful. Thanks for sharing this with us it is a worth read. xcellent post!!! Thank you so much for providing this information! I have been reading several articles about increasing traffic to your blog, and this article is by far the most detailed and informative of all the ones I have read so far! You had several suggestions that I had not seen on all of the other articles. I also appreciated that you provided a lot of examples and screenshots, as it made it easier to understand what exactly to do and how effective it has been for certain bloggers. I bookmarked this page, as I plan on making my way through your suggestions! The very nice way for promoting your blogs. I never heard some way which you mention here. These strategies is nice! Thanks for writing the complete post! Tonnes of valuable information on how to increase blog traffic! thank you for sharing this information along with the pictures. very useful article. I am glad that I have found this article and got the chance to read it. Thank you so much. A well-written article explaining all the possible ways to get maximum exposure from a blog. You have shared very informative blog. Thanks for sharing. Nice post. It has so many informative and very useful free ways to boost ones blog. Thank you for this one. Hi Karen, Thanks for sharing these amazing ways. I hope it work on my blog! Very well explained Karen! Well done! 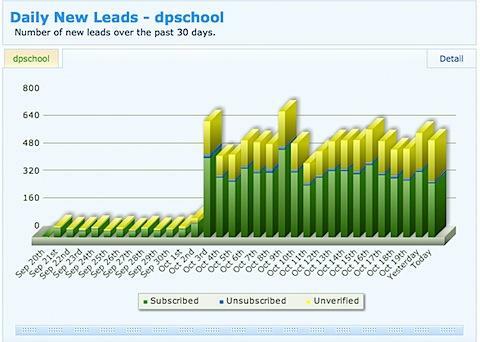 I must follow these practices on my blog and get more visitors! Hey great post! Thanks for sharing. It will be really helpful for many bloggers eager to learn digital marketing. Great tips to promote blog post and get engage more audience to your website. Such tips are helpful for most of the marketers in this industry. keep sharing such tips in future too. Hey I read this post and I found its content very useful. Hey awesome tips this is what i was looking for. Thanks for sharing this information. Also your weblog is quite simple and elegant. I am very new to blogging your article gave me a confidence to promote .